The European Union’s 28 member states have moved closer to gaining the right to individually ban controversial genetically modified (GM) crops even if they have been approved by Brussels regulators, according to a compromise reached Thursday by EU environment ministers. Under previous EU procedures, states had been required in most cases to implement judgments from EU headquarters in Brussels on GM crops. The compromise could mark the end of a four-year deadlock over an EU legislative proposal on GM crop cultivation. The European Parliament still has to approve the agreement, German broadcaster Deutsche Welle said. Twenty-six ministers backed the compromise while two abstained, the EU Observer news website reported. The issue of letting in GM seeds has divided opinion across the region, drawing strong opposition from countries including France and Germany, while Britain supports it. But the European Green Party said the deal was a “Trojan horse” and would open the door to GM crops across the continent, because it also lets countries approve such cultivation. 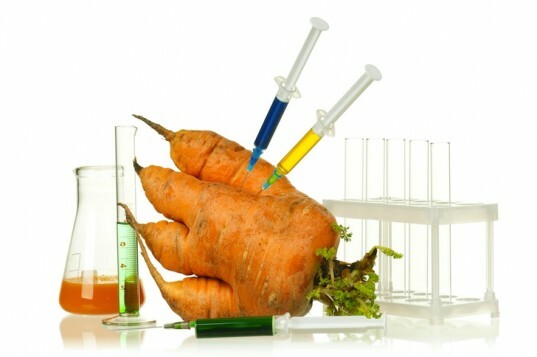 GM companies have faced fierce opposition in attempting to gain approval for their crops from Brussels – due to widespread public unease over GM foods – with many requests being blocked for years. Monsanto Co., a U.S. agro-chemical company, decided to stop trying to get new approvals in Europe last year, saying it was no longer worth the effort, France 24 news agency reported. Monsanto’s GM corn crop MON810 has already been grown in Spain and Portugal for a decade. EU regulators have approved GM crops as safe for commercial cultivation, and large amounts of the products are imported for animal feed and biofuel projects, according to Deutsche Welle. GM crops are widely grown in Americas and some parts of Asia. But there is a lack of scientific evidence proving the safety of the products. There are cost-effective ways to feed people and playing God with our food sources is not one of them, and is not a healthy choice. This is scary! Especially seeing how much we are fighting to keep Monsanto & Co out of the West African Food Chain. These guys definitely want to make us into slaves. A white cloud is awaiting us – it is terrible.